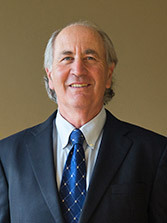 Barry Goldstein joined Goldstein, Borgen, Dardarian & Ho as a partner in 1989. He became a named partner in 1991 and managing partner in 1995. Since January 2000, Mr. Goldstein has been Of Counsel with the firm. NAACP Legal Defense and Education Fund, Inc., (LDF) for eighteen years, including several years as the Director of its Washington, D.C. office, litigating employment discrimination or related cases including Albemarle Paper v. Moody , Lorrance v. AT&T Technologies (argued in Supreme Court), IUE v. Robbins & Myers (argued in Supreme Court), Detroit Police Officers Assn. v. Young , James v. Stockham Valves & Fitting, Inc. Co-Author, Ricci v. DeStefano: Does It Herald an “Evil Day,” or Does It Lack “Staying Power”, The University of Memphis Law Review, 706 Vol. 40 (2010).